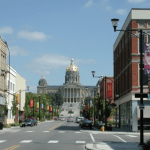 Over the course of three years, the City of Des Moines, Iowa, retained Development Strategies in various capacities to advise on reinvestment opportunities for the east side of the Des Moines River in downtown Des Moines. 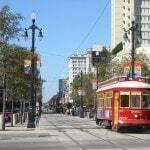 A market study was conducted by Development Strategies to determine redevelopment potential. Development Strategies contributed to a subsequent urban design plan under the consulting leadership of Chan Krieger & Associates. Development Strateiges followed that up with an East Village development plan and guidelines. 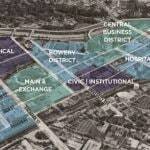 The Capitol Gateway East Urban Design Plan provides a framework for revitalization of the east side of downtown. Supporting the urban design plan was the economic and market feasibility of development concepts which analyzed opportunities and constraints for change and crafted an implementation strategy. The East Village Plan and Guidelines addresses a single strategic city block where redevelopment was deemed vital in demonstrating the potential for a long overdue broader pattern of revitalization.